The Claas Lexion 780 Terra Trac combine harvester by Bruder is very true to detail. Its large number of functions, size and workmanship are also astonishing. The caterpillar tracks are of particular note. 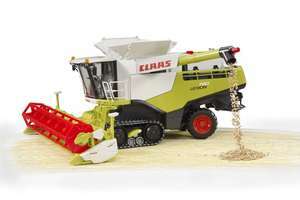 TERRA TRAC an innovative development by the company Claas. 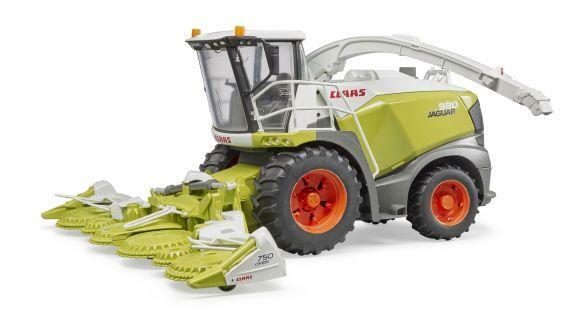 Todays mega harvesting machines are so powerful and heavy that these innovative developments are required to spread the pressure and take good care of the ground. 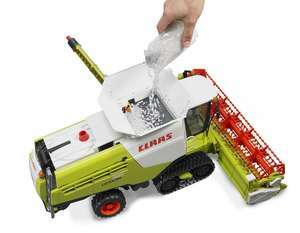 This also increases the efficiency whilst harvesting because resistance is decreased and slipping is less frequent. 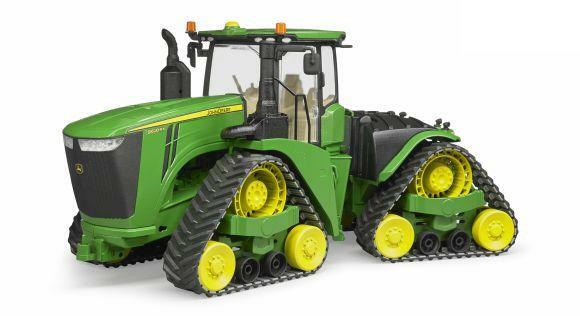 Bruder is the world?s first company to bring a fully functional TERRA TRAC track model onto the market with robust belts in a scale of 1:16. 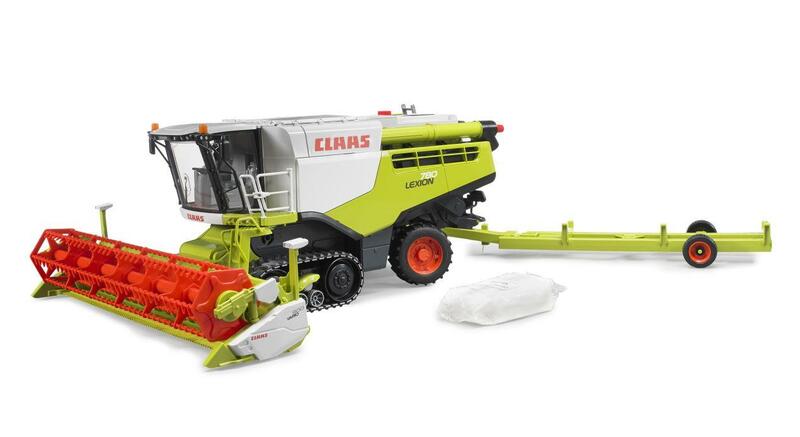 The easy-to-handle steering makes it easy for little hands to manoeuvre the big model. The cutting unit can also be used off-road and has an automatic level control. After the work is complete, it can be suspended from the drawbar coupling of the combine harvester using a cutting unit carriage. The reel driven by a friction drive and the fillable grain tank emptied through the drain tube via a manual spindle drive are other special features that can be played with. 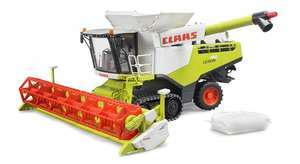 Therefore, there is virtually nothing you cannot do when playing out the work processes of a real combine harvester. 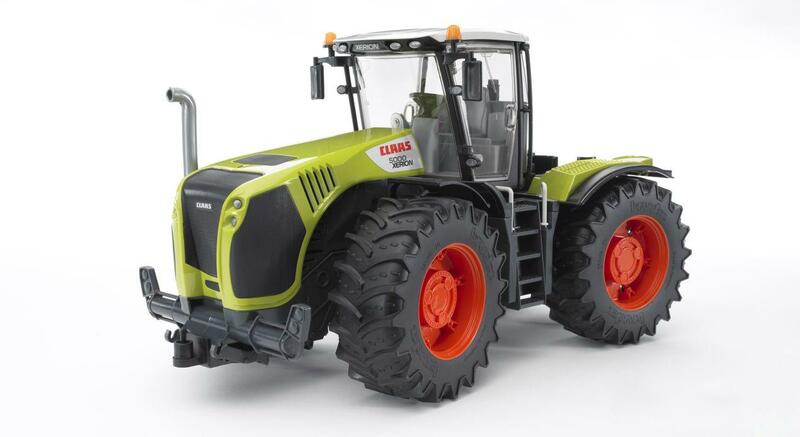 The openable door and the drivers cab are perfectly suited to the Bruder figures, and numerous flaps and possible adjustments round off the fun. It came when you said it would and kept us informed all the way. Arrived in the specified time .